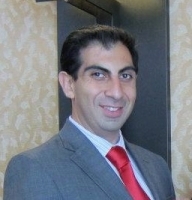 Arshak Ben Kerelian is a Real Estate professional with a passion for helping people. He is fluent in English, Russian and Armenian and delivers invaluable expertise in both sides of Real Estate sales, Real Estate financing, and in the world of IT. Ben has worked extensively in the Mortgage Banking, marketing and sales fields and has always been committed to exceeding his client’s needs and expectations. He is continually striving to bring together remarkable people with exceptional homes to make for extraordinary lives! Ben’s education, background and previous work experience are key benefits in knowing how to work with people in all sorts of situations. Known for being a creative thinker, Ben’s experience as a business entrepreneur, his attention to detail and his organization skills, offer clients aggressive negotiating skills, extensive market knowledge, and concise financial expertise.